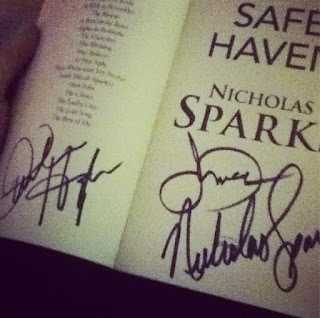 I am so excited to be writing this- on Friday I went to the Safe Haven book signing and movie premiere! Attending were Julianne Hough, Josh Duhamel [*swoon*] and Nicholas Sparks - yes, THE author of The Notebook, The Last Song, Dear John and many more! I actually won the tickets to the premiere but stumbled upon the book singing by chance. I immediately bought the book, not wanting to miss out on the chance to meet the handsome Josh Duhamel! 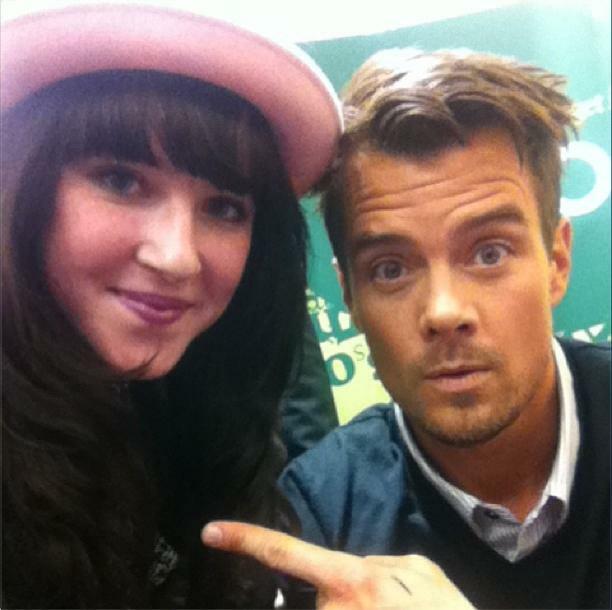 I got my picture taken with him, nearly died! Julianne was a lovely women, and Nicholas said he liked my hat- lets just say I was BEYOND chuffed with myself for wearing that hat. At the premiere, Josh did the harlem shake in the middle of the cinema- the movie itself was amazing! I cried so much, definitely wasn't expecting what happened to happen.. But I'll let you all find out for yourself!